There are dozens of websites, articles, and blogs giving advice, recommendations, and tips and tricks on how to pass a smog test, or what is also known as an emissions test. I won’t add one more article to these lot of recommendations as I believe there are already enough out there. Instead, I will talk about a simple, no-cost technique on how to pass a smog test if your vehicle has already undergone one and failed because of a bad catalytic converter. Replacing a catalytic converter is expensive. This simple home remedy will avoid having to buy one and won't cost a penny. Incidentally, this method can also be used before going for your first smog test to ensure that you pass the test the first time around. If you have an old vehicle and you suspect it might fail a smog test because of its age, then you definitely should follow the suggested technique described here before going for the smog test. If you know a smog test service that offers a free pre-test to determine whether or not your vehicle will pass then, by all means, you should use such service before actually having the test done. If there is no pre-test service available near you, a friendly neighborhood mechanic will more than likely do a pre-test for free using an OBD2 scanner gadget. What I will present here is just one and only one simple technique I’ve used numerous times to pass smog tests on my old Toyota Highlander SUV. I discovered this technique when I first failed an emissions test done on this vehicle. After the first failed test, I took my SUV to my neighborhood mechanic to make the necessary repairs or whatever was needed to pass the emissions test. After going through a series of diagnostic procedures and various analysis the mechanic found the problem. It was my old catalytic converter which was still the original one installed in the vehicle. Apparently, it was no longer doing its job as effectively as it should. The mechanic said that this happens frequently on old vehicles; even though the catalytic converter is still doing its intended job, it is not doing it as strictly as smog equipment requires. The mechanic then proceeded to reveal to me a secret method of how to go around and trick the smog machine into passing the vehicle without having to do a costly converter replacement. Here is a person that just saved me over a thousand dollars in repairs with a simple trick that he didn’t have to tell me. He could have just as easily told me that the converter needed replacement, and he would have made some good money out of the work. Instead, he chose to be honest, a rarity in the auto repair industry. When it has reached its final days of usefulness a catalytic converter will not pass a smog test no matter what kind of trickery is used to deceive the smog machine. I have used this trick to deceive smog equipment year after year for four consecutive years until I replaced my vehicle with a new one. I’ve also recommended this method to people I know with old vehicles and they have told me it was successful in almost every case at every smog test. 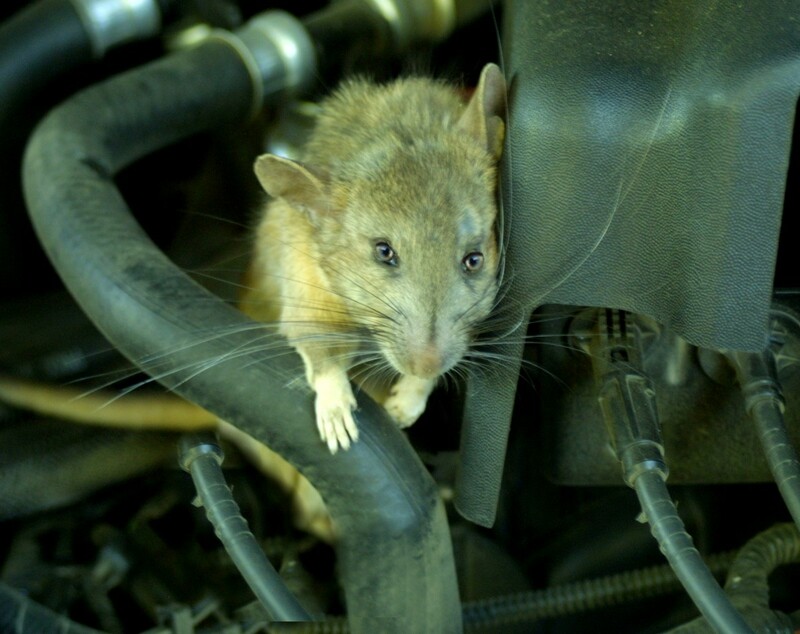 The few exceptions that it didn’t work was when the problem was not related to catalytic converter malfunction or the converter had reached its final days. At this point in this article you must now really be impatient at my dilly-dallying before proceeding to the main subject. Forgive me. I felt it was important to give you a little background on how I came to learn about this very useful trick. I’m sure you already know the tips and tricks on how to pass a normal smog test (that is with a normal functioning catalytic converter). But just so you understand the trick I’m about to reveal to you, let me once again list the different tips for passing a smog test under ordinary circumstances. I won’t go into details to explain each tip since I believe you’ve already done your homework on this. Change the engine oil. Cleaner oil in the engine helps considerably in cleaner exhaust. Warm up the engine. Run your car for at least 20 minutes prior to a smog test. The use of fuel additives can be good and bad: Good if used consistently over many months prior to a smog test, Bad if you use the additives only for a short period before a test. Avoid a smog test on a hot day, or do the test very early in the morning when the temperature is still cool. Prior to a smog test do a general service update: change your air filter, spark plugs, and engine oil and filter. If your vehicle is really old, say over 100,000 miles, you may also use a heavier grade oil only until you’ve completed the smog test, returning to your normal oil grade afterward. You may want to use a fuel injection cleaner a few weeks before the smog test. Don’t use it too soon before the test or it will contribute to failure of the test. Do not disconnect the battery or have a jump start immediately before the smog test. This will surely make the vehicle fail. All the above tips are moot and useless if you have already failed a test due to your catalytic converter being old. You can overcome an old converter problem (short of replacing it) only with the trick mentioned below. While many websites, articles and blogs say that battery disconnection is a frequent reason for failing a test, and this is in fact true, it is also the big SECRET of this entire article. Disconnecting the battery is the trick on how to pass a smog test. But it has to be done correctly or it will surely cause the vehicle to fail. Plan ahead. Know well in advance when you need to have a smog test. 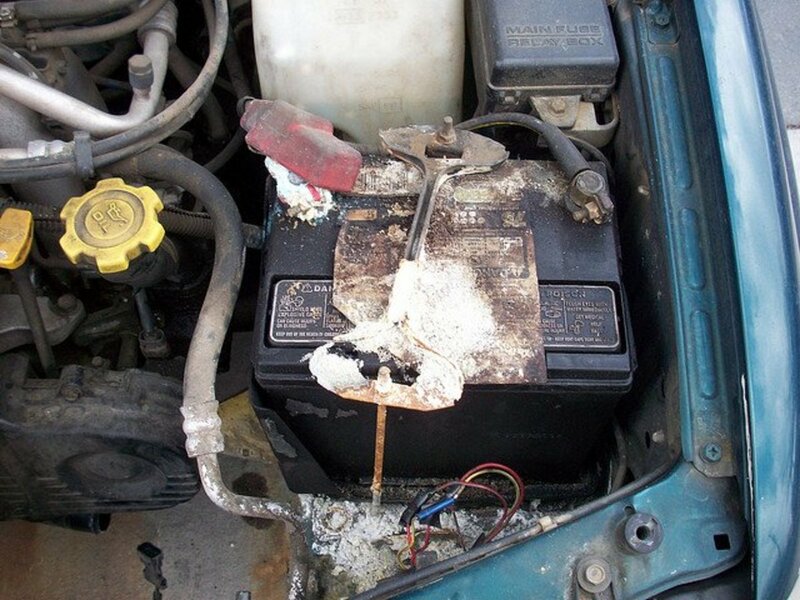 Plan to disconnect the battery long enough in advance to allow you to then drive your vehicle for at least 150 miles. Disconnect your battery the night before you start the 150-mile run. This will erase the internal monitors on the vehicles computer. Reconnect the battery the next day. This will restart the computer’s internal self-test monitors and re-calibrate all systems. If your commute to work is 30 miles per day round trip, then you need to do about 5 days of commuting to rack up the required mileage. Reset your odometer to zero and start monitoring your mileage. At the end of the mileage run, you are ready for a smog test. Avoid doing the test on a very hot day and do so early in the morning when the temperature is still cool. Run your vehicle for at least twenty minutes to warm up the engine prior to the test. You will be surprised how you can do this repeatedly every year around the time of your annual vehicle registration date. In today’s wonderful world of new gadgets, devices, appliances and strange looking thingamajigs there's no reason you should be ripped off by auto mechanics. If you own an old vehicle you can so easily protect yourself from dishonest mechanics by using these remarkable gadgets. With them, you can make an intelligent diagnosis of your vehicle's problem before taking it to an auto shop. 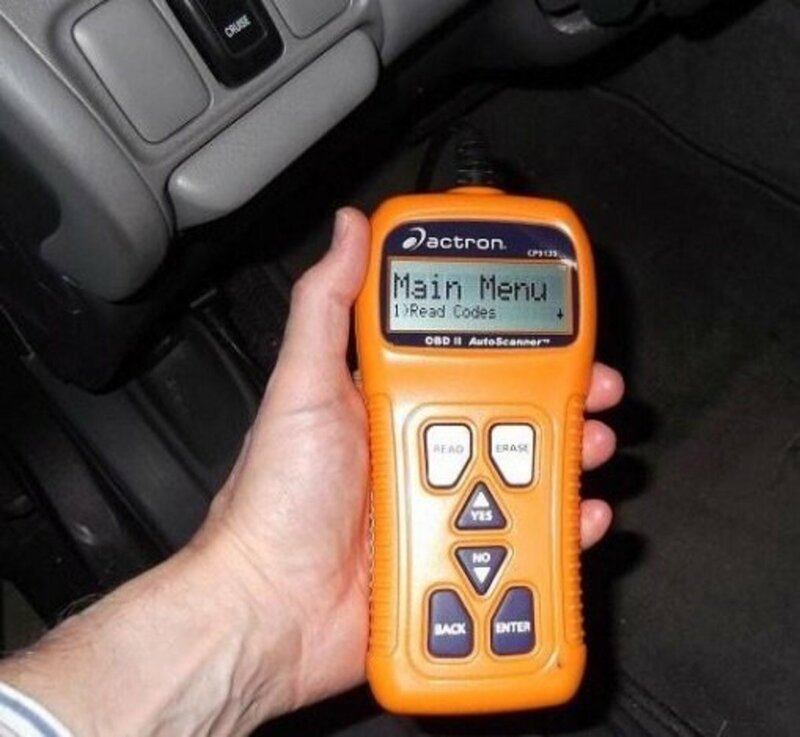 I’m specifically referring to portable auto diagnostic gadgets that you can just plug into your vehicle’s engine diagnostic outlet under the steering wheel. Here are two of my favorite diagnostic tools, FIXD OBD-II Active Car Health Monitor which syncs to your smartphone quickly and the standalone ANCEL AD310 Classic Enhanced Universal OBD II. Will a car still be guaranteed to pass a smog check with the engine light on and smoke coming from the tailpipes? When the engine light is on, it's a signal to do a diagnostic test to find out what is causing the problem. 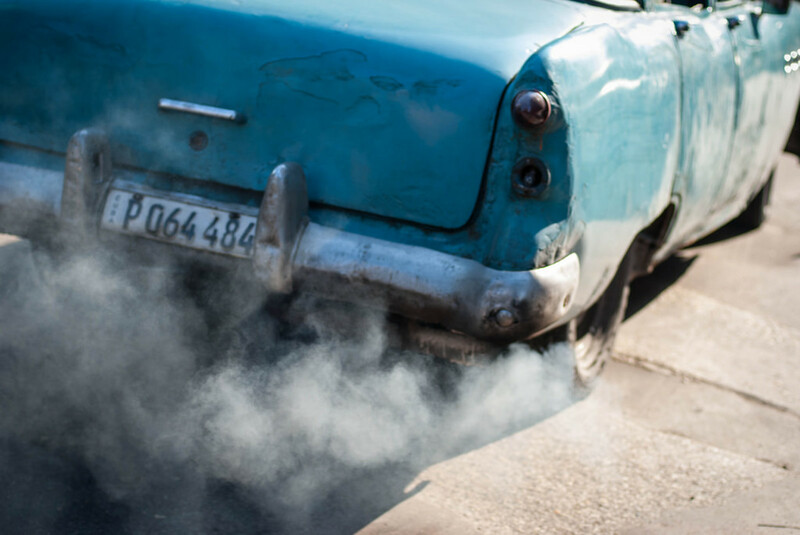 A smoking tailpipe is a compounding factor that could cause the car to fail a smog test. It is strongly recommended to have the car diagnosed by a qualified mechanic to get to the root of the problem. If it shows that its a problem with the emissions system, then you may try doing the program outlined in my article, which most likely will do the trick. I already disconnected my battery, but only for five minutes. Should I disconnect it overnight? Yes, you definitely should have it disconnected overnight. Five minutes will not give the results you seek. Isn’t it illegal to tamper with the catalytic converter just to pass a smog test? No, it is not. My recommended procedure is not tampering with the functioning of the catalytic converter. In most cases, the reason why an old CC fails a smog test is because the smog equipment is calibrated too sensitively. The CC is still good and still does its intended job of blocking pollutants from the vehicle’s exhaust, but unlike a brand new CC, it is no longer sensitive enough to pass a smog test. 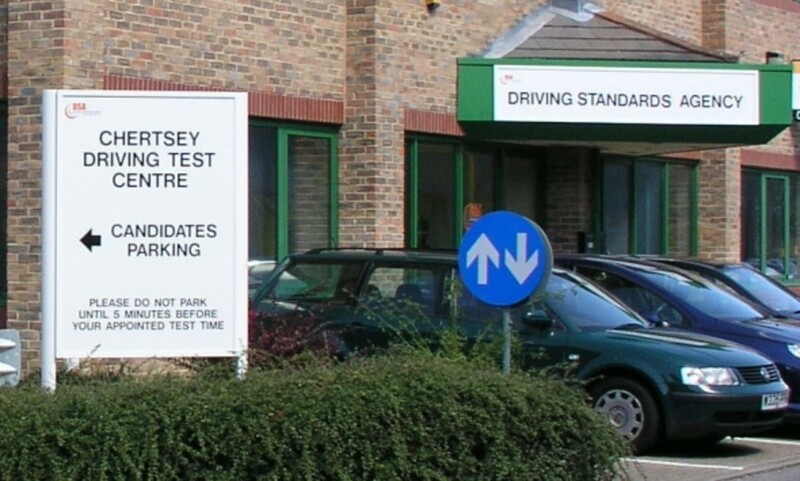 A really bad CC that has reached the end of its useful life will definitely fail a smog test no matter what kind of trickery or cheating you use. I followed your procedure, and I'm assuming I'll pass the smog test with my old catalytic converter. Does this mean I will pass it again next year without doing your recommended stunt all over again? If you passed the smog test this year because you followed my recommended procedure, you need to do the same thing again year after year. Keep in mind the vehicle’s computer system will reset and return to its old settings shortly after completing 150 miles of run time. My recommended procedure is intended to go around your vehicle’s computer readings only up to a certain number of miles, around 150 to maybe 300 miles. My six-year-old car is due for its annual registration renewal in about two months. It has 76,000 miles on it. 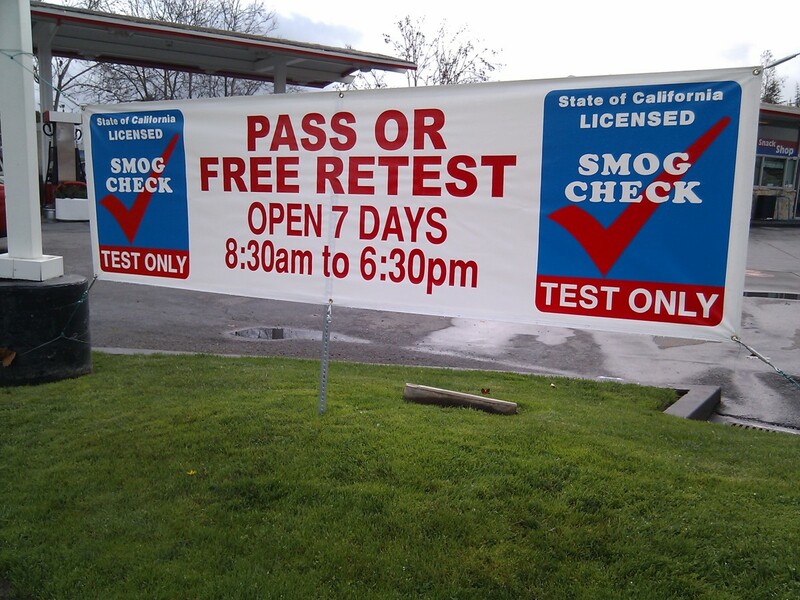 Is it about time to follow your tips to ensure passing the smog test? The first time my car failed a smog test was when it was also six years old with 80,000 miles on it. After my mechanic told me about the tips in this article, I used it every year after that, and never again failed a smog test. Try it. What have you got to lose? You won't spend a cent on following my recommended procedure.